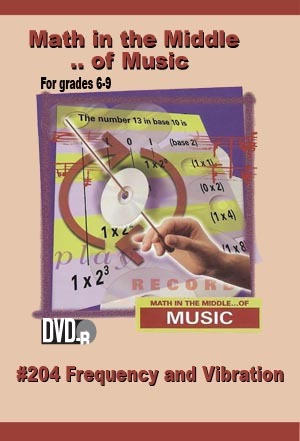 The lesson identifies vibration as a necessary component involved in sound production. Your students will use math to uncover the relationship between the fundamental frequency of an object and its subsequent vibration. After visiting a luthier who shows how a violin is made, this lesson challenges your students to make their own string instruments by using rubber bands and wood. •Learn that a vibrating surface of any length has only one fundamental frequency. •Identify how ratios can be used to plot the harmonic series of a single vibrating surface.